At Workday’s 7th annual Predict & Prepare, a panel of industry experts discussed how individuals and organizations should best prepare for 2015 in the areas of finance, human resources, and technology. While they didn’t agree on everything, panelists did find areas of common ground. Chief among them was the growing opportunity to use data to gain insights. The willingness and ability to grab this opportunity will distinguish winners from losers in the coming years, according to Naomi Lee Bloom, Vinnie Mirchandani, and Brian Sommer, who spoke on the panel with Bill Kutik as moderator. Predict & Prepare 2015 was aired via live Webcast on December 16. In the workplace, competition for top talent will only intensify, according to Bloom and Kutik. What’s more, the most in-demand individuals typically use data to their advantage to learn about potential employers and new job opportunities, and they bring that natural curiosity to their jobs. “Those that work through data and figure out how to make a better business—those are the skills of the future,” Bloom said. She also stressed the importance of providing hiring managers with insights into their workforces and talent pools next year and beyond. 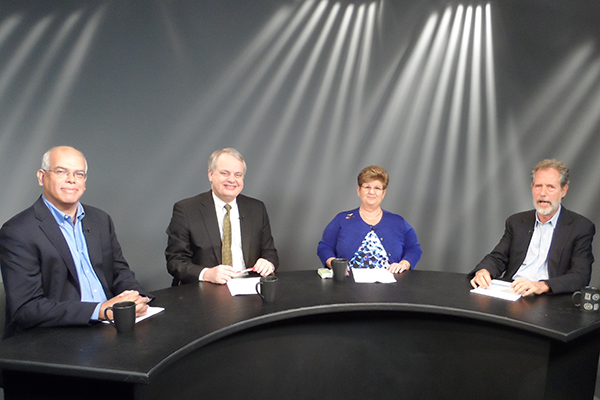 For more on these expert insights and recommendations, watch the replay of Predict & Prepare 2015.